Growing up one of my favorite Christmas traditions was making sugar cookies with my mom. 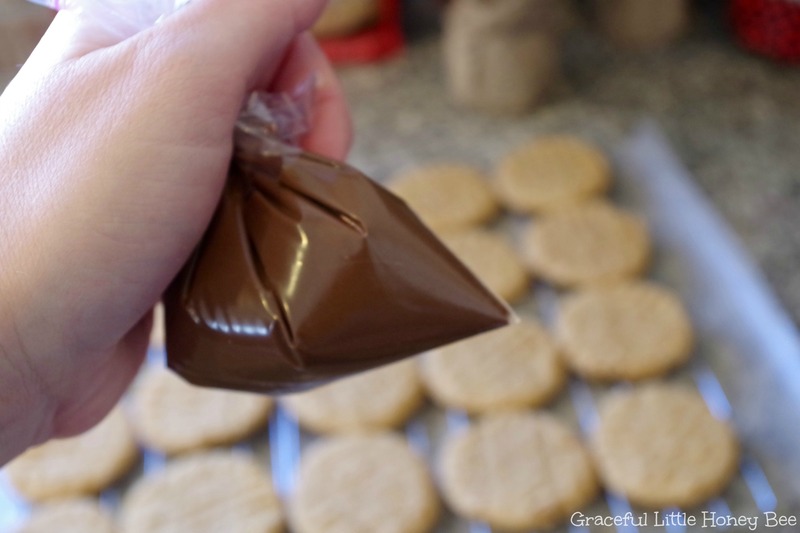 Without fail every year in December she would get out her cookie cutters and food coloring to whip up what seemed like a MOUNTAIN of cookies to give and take to family gatherings. She always made homemade icing, but I’m pretty sure she used a cookie mix such as Betty Crocker®. She says that my sister and I would decorate a few and then get bored and leave, but my brother was always committed until the end. I love baking for the holidays and I hope to pass on the tradition of making cookies with my own children. 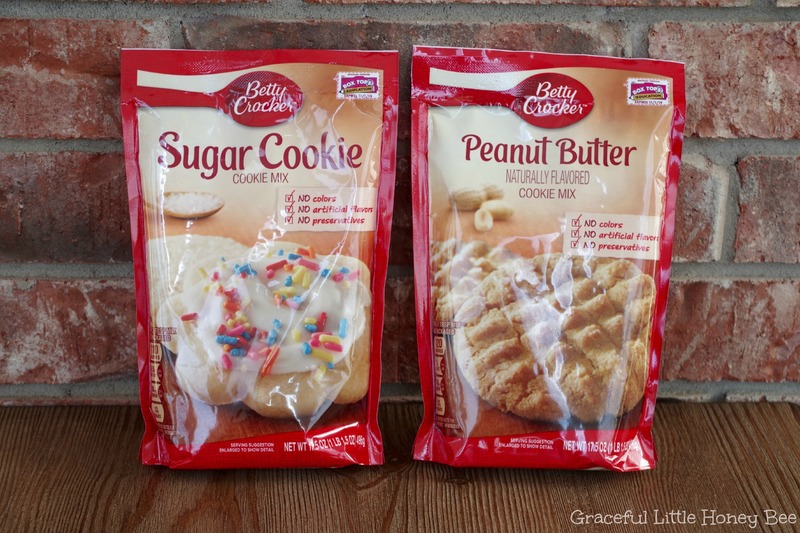 If you’re pressed for time this holiday season then consider picking up a few bags of Betty Crocker® cookie mix such as Peanut Butter or Sugar Cookie for a fast and easy dessert that is perfect for entertaining or taking to parties. Spread cheer with simple surprises this holiday season with Betty Crocker® and check out the convenient products they have to offer that are within any shopper’s budget. 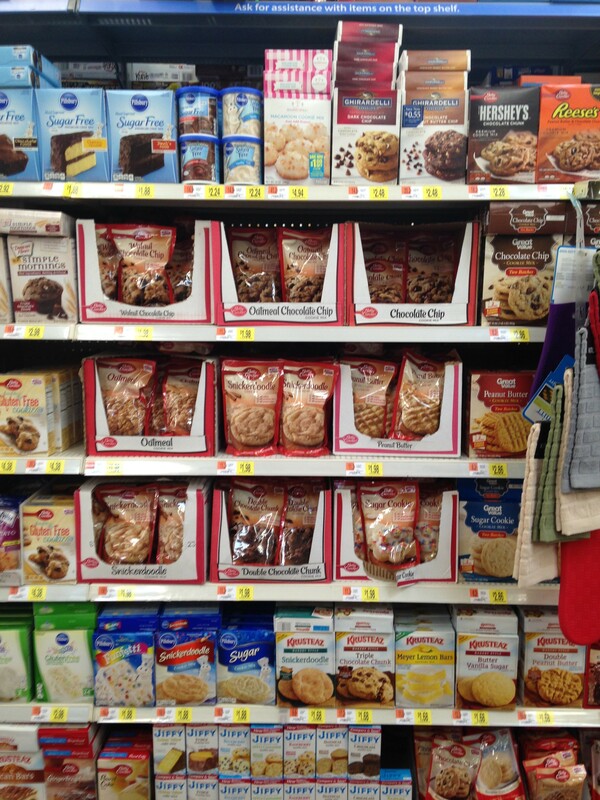 These products are available in the baking aisle of your local Wal-Mart. 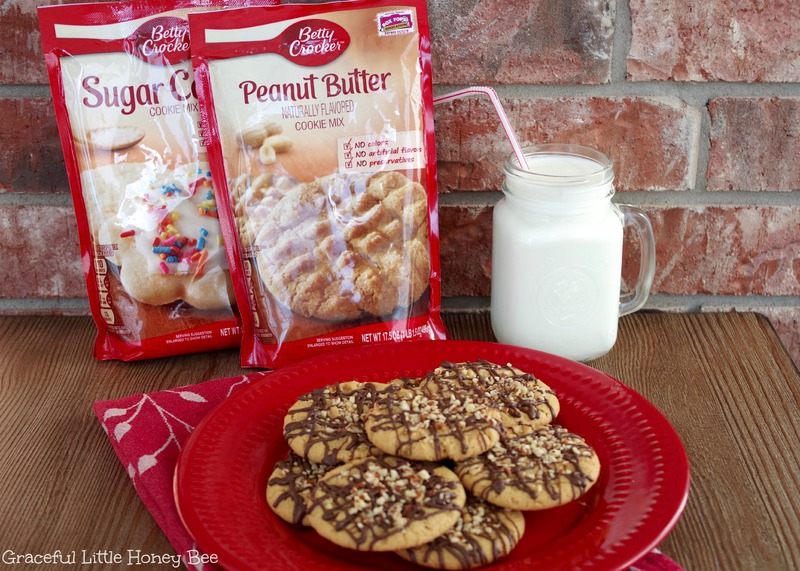 And for even more savings click here to see how you can save .50 with your purchase of Betty Crocker® cookie mixes for a limited time only. Now on to the recipe. 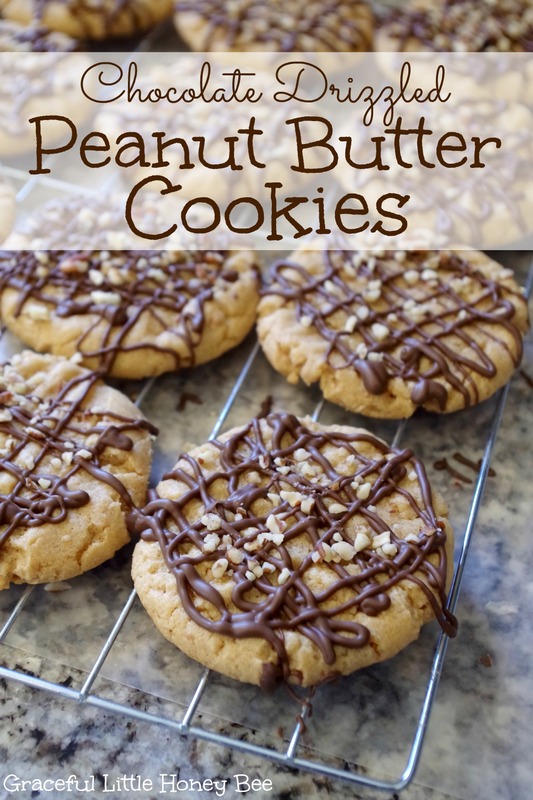 I love this Chocolate Drizzled Peanut Butter Cookie because it looks complicated, but it’s really easy. I promise. One tip though: You will need two people when drizzling the chocolate and sprinkling the nuts because the chocolate will dry fast. Step 1: Bake cookies per package instructions. Step 2: Lay wax paper underneath cooling racks. Step 3: Place cookies on cooling racks. Let cool completely. Step 4: Pulse pecans in food processor until crumbly. Step 5: Heat chocolate chips in microwave safe bowl for 30 sec. Step 6: Stir chocolate and heat in 15 sec. intervals until melted. Step 7: Mix in shortening and heat additional 10 sec. 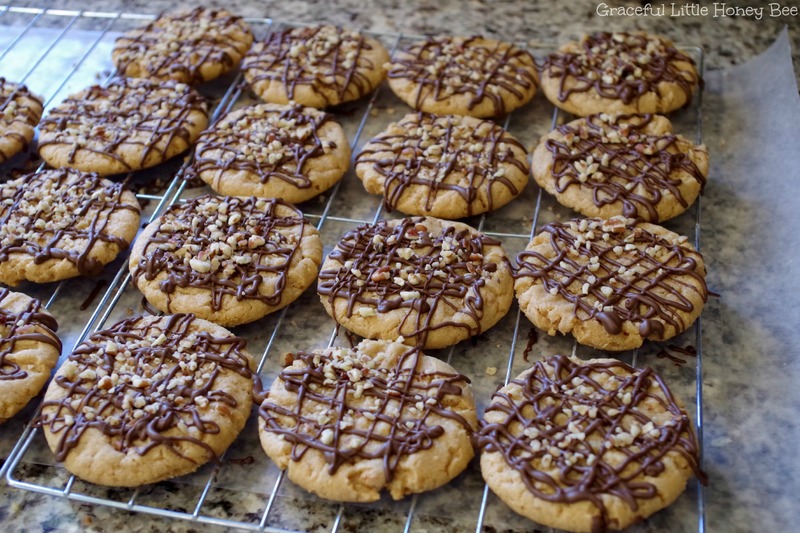 Step 9: Drizzle chocolate over cookies and sprinkle with nuts before chocolate hardens. (This may take two people to accomplish since the chocolate will harden quickly.) Enjoy! Bake cookies per package instructions. Lay wax paper underneath cooling racks. Place cookies on cooling racks. Let cool completely. Pulse pecans in food processor until crumbly. Heat chocolate chips in microwave safe bowl for 30 sec. Stir chocolate and heat in 15 sec. intervals until melted. Mix in shortening and heat additional 10 sec.